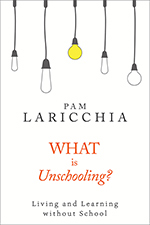 What is Unschooling? 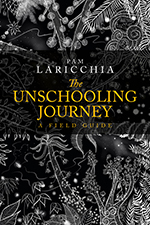 is a FREE introduction to unschooling ebook, answering some common questions about unschooling to help you explore whether unschooling might be a great fit for you and your family. 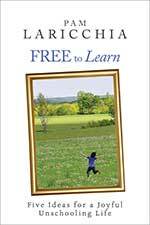 Free to Learn and Free to Live explore unschooling principles from the perspectives of learning and living, respectively. 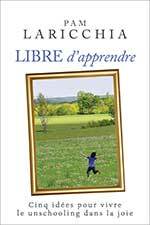 These books are short and meaty, and will help you understand the roots of unschooling. Life through the Lens of Unschooling explores how those principles play out day-to-day. Longer and wider in scope, it will help you better understand the challenges and joys of unschooling as a lifestyle. 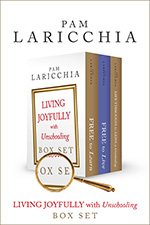 The Living Joyfully with Unschooling Box Set brings you all three books bundled together at a discount! 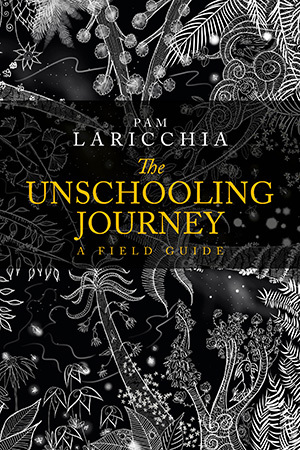 Inspired by Joseph Campbell’s hero’s journey framework, The Unschooling Journey: A Field Guide is a weave of myths, contemporary stories, and tales from Pam’s journey. 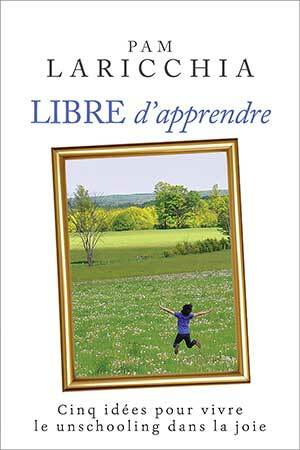 Libre d’apprendre is a French translation of Free to Learn. Libre para Aprender is a Spanish translation of Free to Learn. 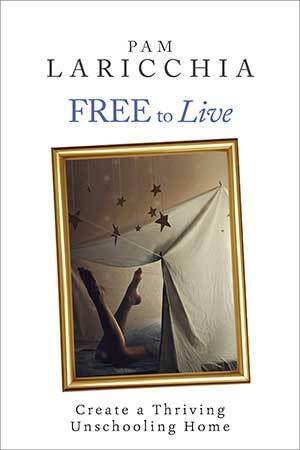 Szabadon Tanulni is a Hungarian translation of Free to Learn. 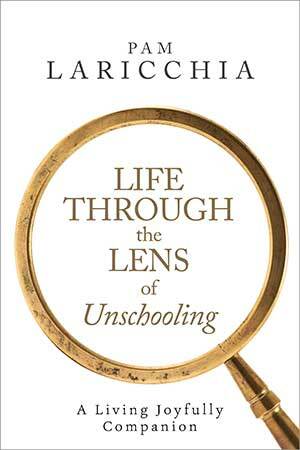 The five paradigm-changing ideas that helped me better understand unschooling. The four characteristics that helped unschooling flourish in our home. 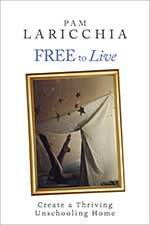 A wide array of essays that look at the many ways unschooling weaves through our day-to-day lives. 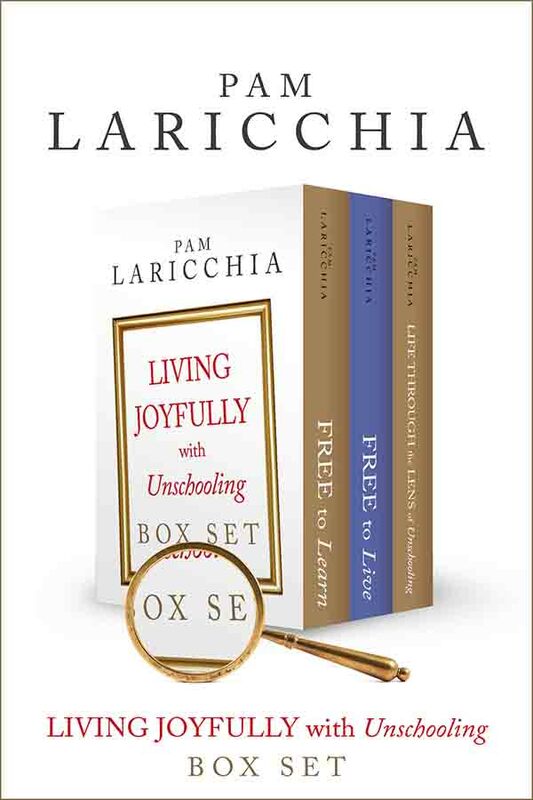 The box set brings together the best of both worlds: diving deep into the principles of unschooling and seeing how they play out in everyday situations. It is for every parent who is contemplating unschooling, or has taken the leap and is thinking, now what? What does day-to-day life look like in an unschooling family? 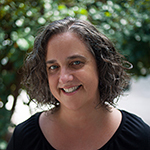 How can I create a thriving unschooling environment in my home, with my family? Traduit par Malika Kergoat et Édith Chabot-Laflamme.